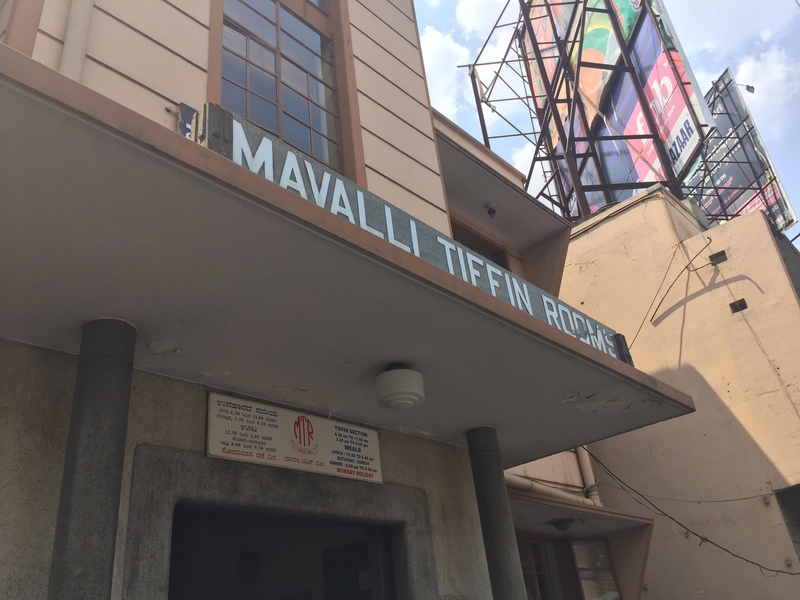 when my father returned to bangalore last week following my cousin’s wedding, prakash and i took him to mavalli tiffin room [mtr] for lunch. mtr is a bangalore institution and one of the oldest restaurants in the city. popular for its masala dosas, thalis, and old city feel, it does a hefty business throughout the day. i have been to mtr a few times for breakfast in the past, but i had never before been for lunch, so i was pretty excited about checking out their thali. i really knew nothing going into it, expecting it to be pretty similar to other thalis i’ve had in my life; i was not expecting the multiple rounds that we received. it was fun as well as tasty, and it almost made me feel like i was eating in a wedding hall rather than a restaurant. someone was pretty excited about his lunch. bangalore, india. 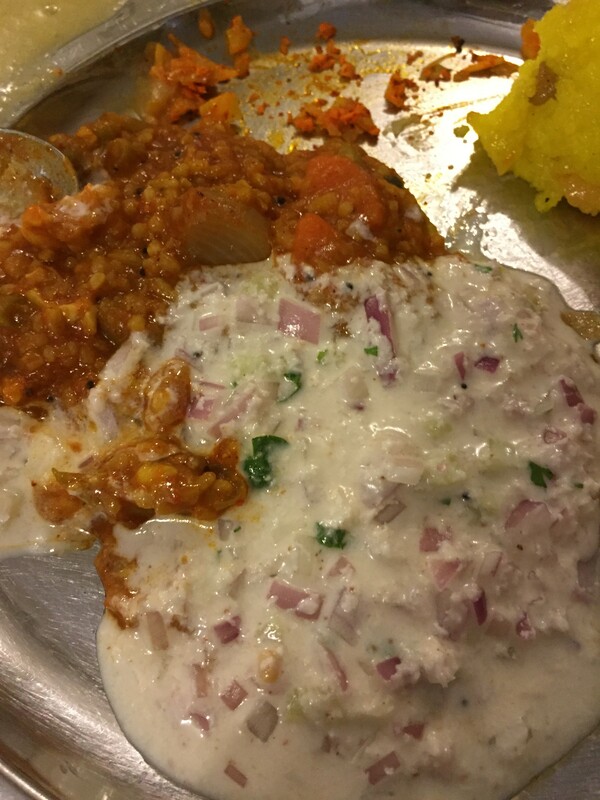 march 2015.
we started off with a poori, chana, salad, and sabji. when asked if i wanted another poori, i tried to opt in, but prakash warned me that there was still a long way to go. in hindsight it was good advice, so be forewarned that the one poori is more than enough. they also brought payasam at this point, but i saved mine for the end. bisi bele bath with raitha. bangalore, india. 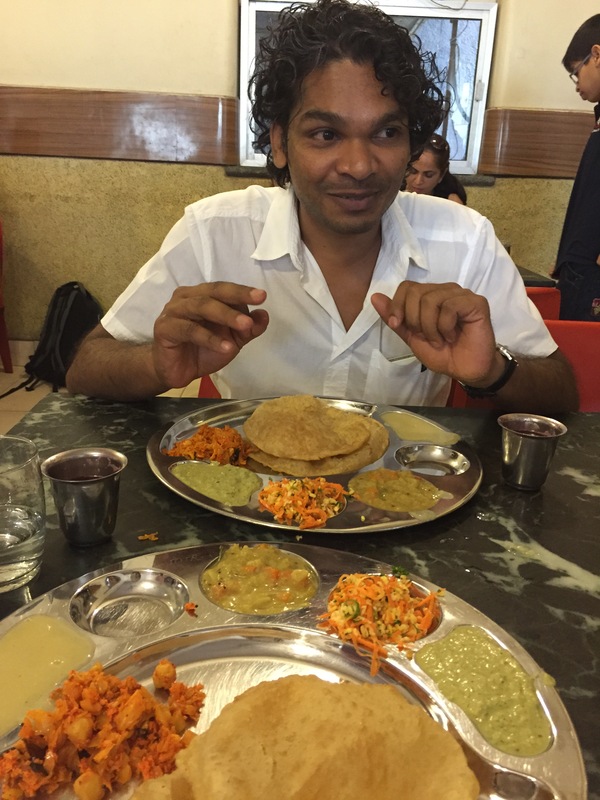 march 2015.
after the poori came the bisi bele bath. a specialty of karnataka, bisi bele bath is a delicious lentil-rice combination with lots of mouth-watering spices and flavours. along with biryani, it is one of my favourite rice dishes, and i was pretty stoked when they brought that around in the rotation. it went especially well with the raitha. the dahi vada arrived with this round as well, but i let mine soak for a while before eating it. sambar rice as part of mtr’s lunch thali. bangalore, india. 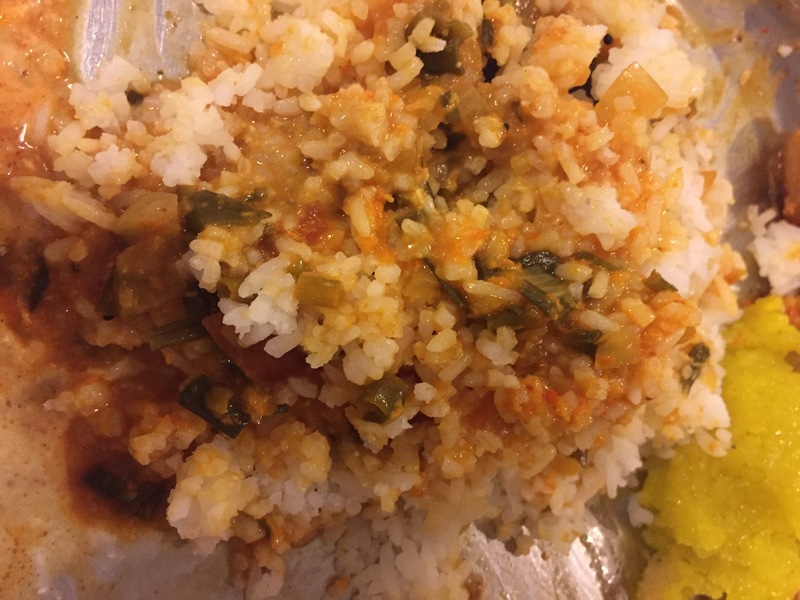 march 2015.
after the bisi bele bath came the sambar and white rice. i am pretty picky about my sambar, but theirs was pretty great. at this point i was already pretty stuffed, and then came the rasam rice. luckily as soon as i saw the white rice coming back, i asked if it was for rasam and asked for mine to be served in a steel tumbler instead. i have a small capacity for rice in general, but i also just prefer drinking my rasam. and when it’s in a steel tumbler, it’s even better. and then, blissfully, came the last big round: the curd rice. i love me some curd rice, so it was rather sad how full i was, because i could only take a little. it’s a great way to wash everything down and help digest it all. and for dessert, in addition to the payasam that was already served, came the ice cream. we think it was mango ice cream with chunks of pineapple, so it was kind of a funny combination, but it was still good. the unassuming exterior of that most extraordinary of bangalore institutions. bangalore, india. march 2015.
location: #14, lalbagh road. near urvashi theatre. basavanagudi. bangalore, india. there are multiple smaller locations throughout the city, but the original is the best. what we ordered: 3 thalis. my zomato rating: 4.5 / 5. average rating is 4.3.
fun facts: mtr now does a whopping business providing ready-made masala packets for supermarkets around the world. my family is one of the many helping keep them in business — my father’s favourites are the bisi bele bath and the chana masala. who here has been to mtr? any tips on future visits?